Tehran, the city of museums, is the most important city of Tehran province and the capital of Iran from Qajar Dynasty. Also, it is the largest city of Iran, second largest city of western Asia and the third largest city of the Middle East. Tehran is situated in the North-central part of Iran, on the slope of the Alborz Mountains. The best time for travel to Tehran is spring ad autumn since the weather is mild, although if you are a fan of winter sports, Tehran can be a good destination even in winter. In fact, having cold and wet winters besides its mountainous northern areas, have made this city the home of most popular and famous ski resorts in Iran and even in the world. Dizin, Shemshak, and Tochal are the most popular skiing resorts near Tehran. It’s good to mention that there are many other natural attractions in Tehran that could provide you a pleasant travel even during the long, hot and dry climate of summer. 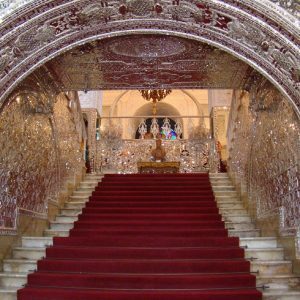 The Golestan Palace as the oldest historical monuments of Tehran belongs to a group of royal buildings and consists of 17 palaces, museum and halls. Although at present 8 of these structures and its beautiful garden are considered as the key ones. It was built during the Safavid dynasty and was selected as the royal residence of Qajarian king. The magnificent Golestan palace was registered as the UNESCO world heritage site in 2013. 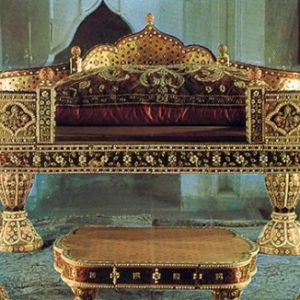 The National Jewelry Treasury was established in 1995 to take care of the royal jewelries that most of them are from Afsharid, Ghajarid Pahlavid and Safavid dynasties. This museum is located in the central bank of Iran. Here you will find a gorgeous collection of the most dazzling jewels and unique gems of the world that nobody knows its value. The pink diamond of Darya-ye-Noor weighing 182 carats (sea of light), the Peacock throne, Kiani crown and the Globe of jewels that is a 34 kg globe made of 51366 precious of the must see jewels. 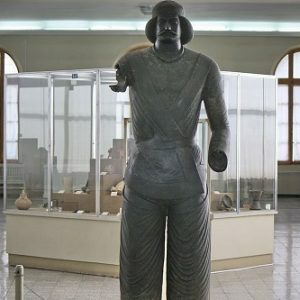 Iran ancient museum and Islamic Era museum are two complexes that have made Iran national museum. It is one the most important historical museums of Iran and also most prestigious museums of the world in which you can find a wide range of relics from the 6th millennium BC till the Islamic era. The number of objects reach to 300.000 that has been kept in an area of 20.000 square meters. Iran national museums has 8 departments of prehistoric, Historic, Islamic, seals and Coin, conservation, Inscriptions, Paleolithic, Osteological, Library and center of pottery studies. 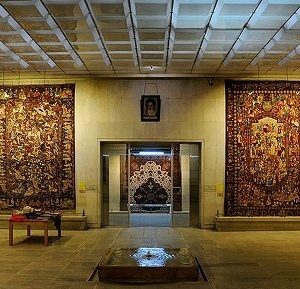 If you want to see a big collection of the oldest and newest Iran carpets in one place, carpet museum is a great option. Some of these carpets date back to 17th century. In this museum, you will become familiar with different patterns and styles of Iran carpets that each belongs to a specific region. It is in two floors, the permanent exhibition is in the ground floor and temporary one is in the upper floor. Carpet museum is close to Contemporary Art and also adjacent to Laleh Park.